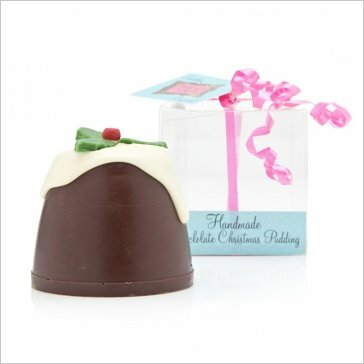 A solid dark chocolate Christmas pudding with white chocolate cream. Great for those that do not like traditional xmas puds! Decorated with 3 edible holly leaves and a berry made from fondant. Presented in a clear box and tied with ribbon with a gift tag.